Hello, Creatives! I am very excited to feature collage artist Katy Hirschfeld today. This artist has been with us from the beginning and her amazing work is currently featured in our Limited Edition 2013 Create A Cure Valentine Collection! "The idea of doing something that goes against the normal grain of society and that also reflects creativity and individuality, while encouraging a DIY nature, is a great inspiration to me. Ive always loved the grunge aesthetic of The 90's, and subsequently all things ''gritty'. As I got older, I was also inspired by Early Punk Rock. This music etched a "rebellious anarchists'" vibe into my collage work. Studying punk rock, resulted in a seismic shift in my psyche; I found myself in a creative rapture and my obsession with that era forced me to react in the only manner I know how, artistically. I chose collaging because the act of collage requires the artist to engage the physical artifacts of his or her message in a truly visceral form; the collage gains the ability to reinvent the meaning of the images used and that power of transformation excites me to my core." We love you, Katy! Katy is currently rocking it with the Austin IEI Austin gallery. See some of Katy's edgy, super creative pieces on her website! Felicia, your friendly neighborhood CreatACure Lead Artist here, letting you know that the Limited Edition Create A Cure 2013 Valentine Collection Cards are now for sale! I hope your year is off to a great start! With Valentine's Day right around the corner, we wanted to take a moment to share the Create A Cure 2013 Valentine Collection with you. Our own Leader Mel and several artists in the DC area have donated our work to be featured in this limited editio nset of prints, available for purchase until next Wednesday, February 6! Not only will you be getting these gorgeous valentines to share with your friends and family, supporting me and other local DC artists, but the proceeds will also benefit the Tigerlily Foundation, a Breast Cancer support, education and advocacy organization for women ages 15 - 40 in the DC area. Beautiful valentines designed by local artists that benefit a great charitable organization? Yes, please! Make sure and take a look at our collection on facebook too. Have a wonderful Valentine's Day everyone! Visit the Create A Cure blog to purchase yours today! Check out our spread in Sunday's Washington Post Capital Business publication (this version is a little easier to read). We are so thrilled by this portrait of our Pop-up Gallery. We would like to clarify that this article reflects our fundraising goal, not the amount of funds actually attained at the event. We have submitted a correction to the Washington Post, to whom we are truly grateful for their coverage of the event. At this time, we are still awaiting the final tally from last week's event. The final amount of funds generated by our inaugural Pop-up Gallery fundraiser will be available via our website as soon as financial reports have been submitted by our partners. Thank you for your continued support! Hello, Creative People of DC!!!! Today is the day of our first ever Pop-up Gallery. It brings me great pleasure to share the biography of artist Monica de Gastyne with you just 12 short hours before the opening of our gallery event. 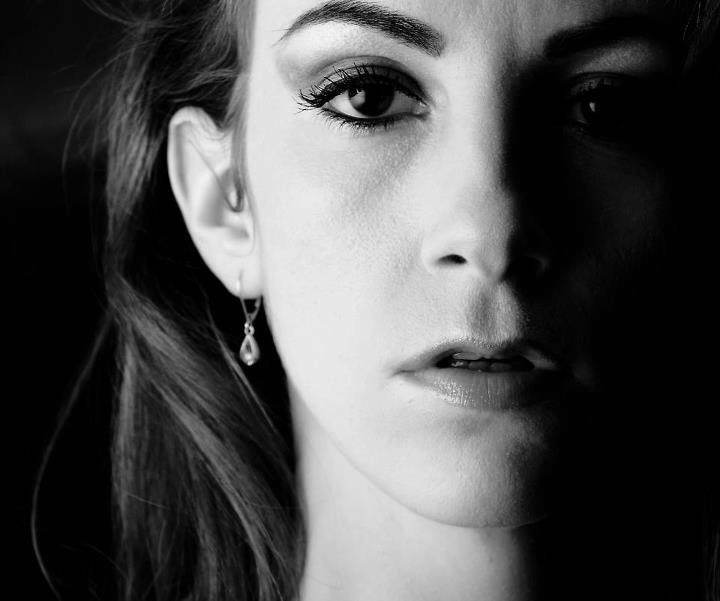 Please read on to learn more about Monica! Acylic portrait artist Monica de Gastyne was born in Virginia in 1984. She grew up in Springfield with her three sisters and their mother. Ms. de Gastyne keeps her maiden name for her artwork to honor the heratige from which her talents came. She was in the 1st grade when she began drawing And profiting from detailed portraits. Since then, she has experimented with many different media, settled on acrylics, and is well underway to perfecting her technique, style, and signature. Monica gained a firm foundation in drawing early on. She uses an approach to drawing the light rather than the object, granting the ability to draw just about anything she sees. She is self taught beyond her high school art education. Ms. de Gastyne's work has been exhibited in Artomatic 2012, RAW Artists of DC July exhibition, and the Backlash exhibition for SOHO20 Gallery in New York City. She is participating in Create A Cure to honor Connie O'Mara and her ongoing battle with Cancer, as well as the late Jim Collins. Hey there, Creatives! Meet this week's Featured Artist, Rachel Bingaman! 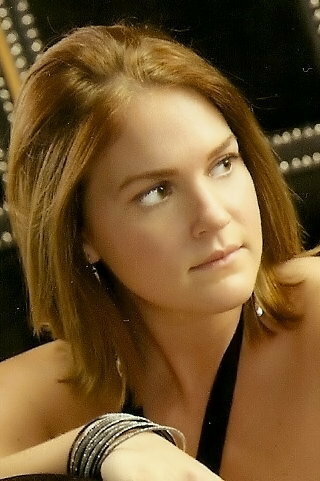 "I'm a full-time freelance artist living in the D.C. area with my husband and two beautiful children. My oil paintings can be found in private collections all over the United States and Australia. For now, I focus primarily on contemporary and abstract landscapes and seascapes and lately have enjoyed creating more textured pieces as well. My inspiration has come from all over, but the source remains the same: God. From the beauty he allows in nature to song to family and life events. His inspiration has allowed me to pull colors from past memories and present experience and mix them into something I think is fit for canvas. Sometimes, even the most mundane of moments finds itself transferred onto canvas and transformed into something beautiful." Check out Rachel's work on Etsy or come see for yourself on July 25! Get a sneak peek of select pieces that will be featured in Wednesday's Pop-Up Gallery through the Create A Cure Online Storefront, now open for business! Between now and the end of the event you may stake an early claim on pieces of interest. Get in there and start shopping!! 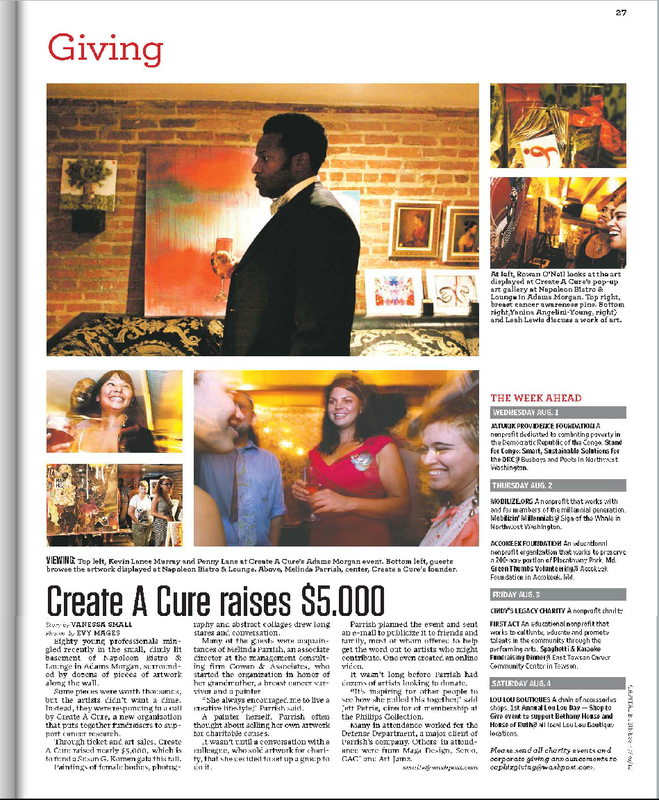 Thanks for supporting Create A Cure and see you on Wednesday night! Create A Cure is an event designed to rally together fun, creative people together in support of finding a cure and better treatments for Cancer. 100% of our proceeds go to support Cancer Research. 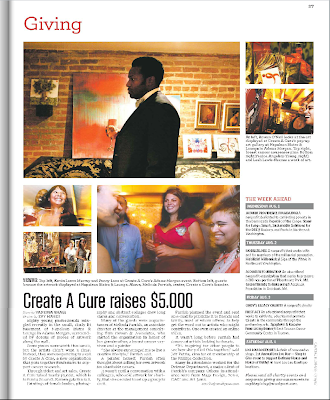 Support Create A Cure today by submitting art or helping out with an event. Together we can create something beautiful!